Did you ever develop inflammation or a skin rash after you touched or ate something? Then, the chances are that you are allergic to whatever you ate or touched. To help combat the skin allergy and soothe the rash, here are some natural alternatives that can help. Scroll down. 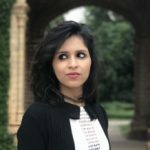 What Causes A Skin Allergy? A skin allergy is often a reaction to an allergen or irritant. When an offending foreign substance touches your skin, your immune system produces antibodies to fight it. This results in an allergic reaction that is often characterized by the onset of a rash. Given below are the factors that cause a skin allergy. Let us now take a quick look at the symptoms that surface because of skin allergies. These symptoms are common to various allergic reactions. The following are the different types of skin allergies known to mankind. Atopic dermatitis (Eczema): A childhood disorder that causes red itchy rashes on the elbows and the back of the knees. When severe, the face is affected. Seborrheic dermatitis: This type of skin allergy results in red, scaly, and itchy lesions that mostly affect the scalp, forehead, brows, cheeks, and external ears. Contact dermatitis: A skin allergy brought about by contact with an irritant or certain chemicals that an individual may be allergic to. The wrist due to a watch, or the finger due to a ring might be affected. Diaper rash: A type of irritant contact dermatitis that mostly affects infants and some adults who wear diapers soiled with feces and urine for too long. Yeast can also cause diaper rash. Stasis dermatitis: An oozy skin allergy that occurs on the lower legs of individuals suffering from chronic swelling due to poor blood circulation. and/or poor lymphatic drainage. Psoriasis: A scaly and bumpy eruption that occurs on the scalp, elbows, and knees. Hives: Sudden onset of red and itchy bumps that usually resolve in about 8 hours and recur frequently. Nummular eczema: An oozy skin allergy that surfaces as coin-shaped plaques on extremely dry skin during the winter. Drug eruptions: Certain antibiotics produce allergic skin reactions as a side effect. Heat rash (Miliaria): A skin allergy caused by the occlusion of sweat ducts during hot and humid weather conditions. Skin allergies might also be a result of various underlying causes. However, the end result is mostly the same – swelling and itchy rashes on your skin. While trying your best to remove the cause we want to help you combat the symptoms of skin allergies, irrespective of the cause. We have come up with the following home remedies from which you can choose. You don’t have to do all these remedies – choose a few that are easiest and that work for you. Add a tablespoon of apple cider vinegar (ACV) to a cup of warm water. Mix well and soak a cotton ball in it. Apply it to the affected area and allow it to dry. 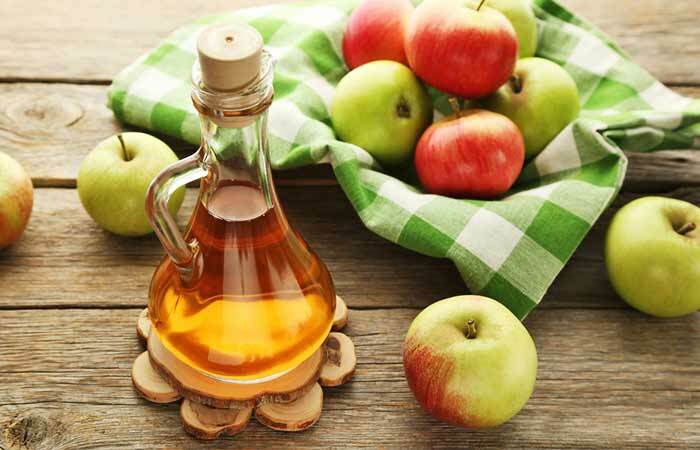 Apple cider vinegar contains acetic acid, which exhibits amazing anti-inflammatory and antimicrobial properties (1), (2). These can help in treating skin allergies and protect your skin from infection. 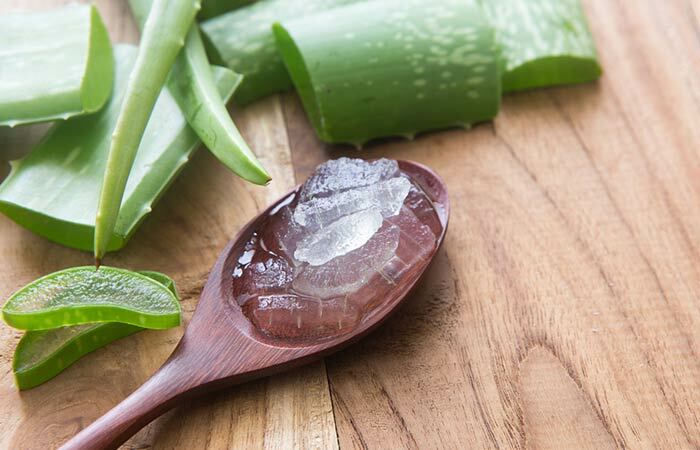 Extract the gel from aloe vera leaves or purchase aloe vera gel. Apply it directly to the problem areas. Leave it on for at least 30 minutes before washing it off. You must do this thrice every day for a couple of days. Aloe vera gel is well known for its healing properties. It not only speeds up the healing of the affected area but also relieves the itchiness and redness with its anti-inflammatory activities (3), (4). Take a teaspoon of baking soda and add a few drops of water to it to make a thick paste. Apply this paste to the affected skin. Leave it on for about 10 minutes, after which you can wash it off. Do this multiple times daily for quick relief. 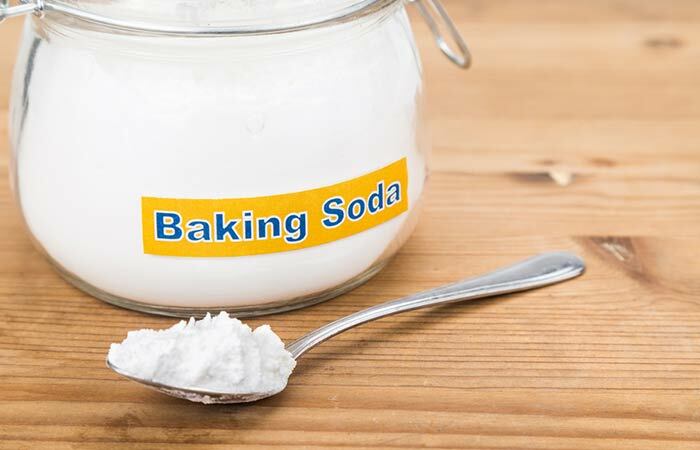 The alkaline nature of baking soda helps in restoring the lost pH of the affected skin. This, in turn, speeds up the healing of your skin from an allergy (5), (6). Take a little virgin coconut oil and warm it by rubbing the oil between your palms. Apply the oil directly to the affected area and leave it on for 20 to 30 minutes. 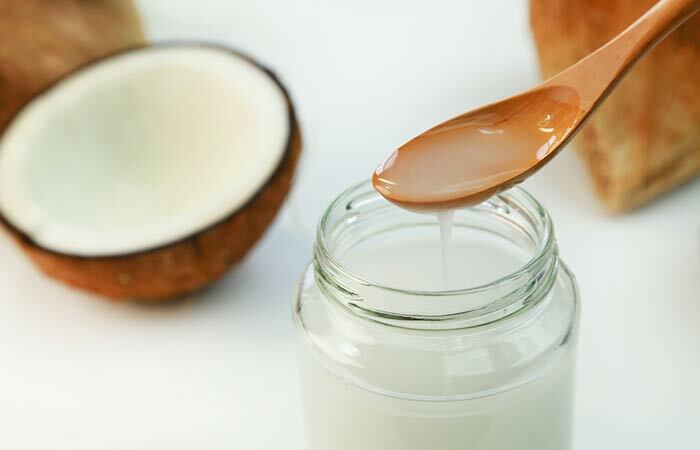 Coconut oil contains medium-chain fatty acids that have moisturizing properties. It also exhibits analgesic and anti-inflammatory activities, which make it a wonderful remedy for relieving redness and itching caused by skin allergies (7), (8). 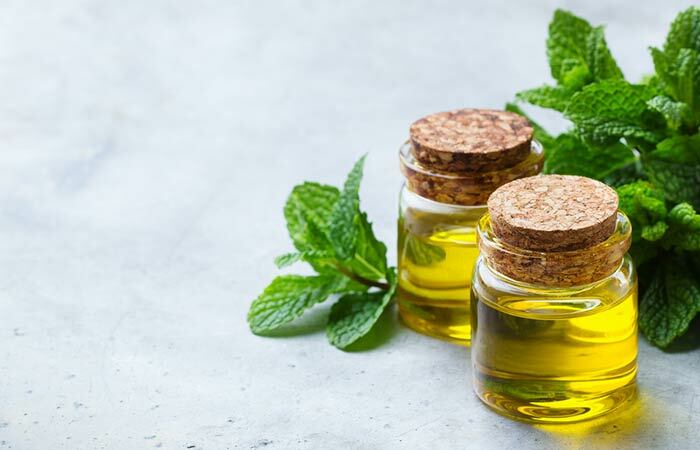 Add six to seven drops of peppermint oil to a teaspoon of any carrier oil. Mix well and apply this mixture to the affected area. Leave it on for 30 to 60 minutes and wash it off. You must do this 3 to 4 times every day for a couple of days. One of the main components of peppermint oil is menthol. Menthol exhibits anti-inflammatory and numbing effects that offer immediate relief from swelling, redness, and itching (9), (10). Add six to seven drops of tea tree oil to a teaspoon of any carrier oil. Mix well and apply the mixture topically to the affected skin. Do this 3 to 4 times daily until you see an improvement in your condition. 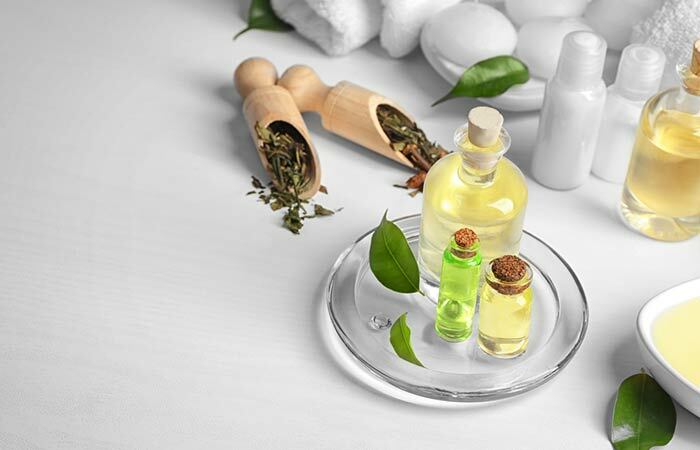 Tea tree oil offers multiple benefits when it comes to your skin. Its excellent anti-inflammatory and antimicrobial properties provide immediate relief from inflammation and itchiness and also prevent further infection (11). Take a handful of holy basil leaves and wash them thoroughly. Blend the leaves in a grinder and apply the paste to your skin. Leave it on for 20 to 30 minutes and wash it off. Do this multiple times daily for a few days. Holy basil or tulsi exhibits broad-spectrum antimicrobial activities that can protect your skin from microbial infections (12). The anti-inflammatory action of holy basil can help reduce the redness, swelling, and itchiness associated with a skin allergy. 1. Apply manuka honey directly to the rash and leave it on for 20 to 30 minutes. Do this 3 to 4 times every day for a few days or until you notice a difference in your skin. 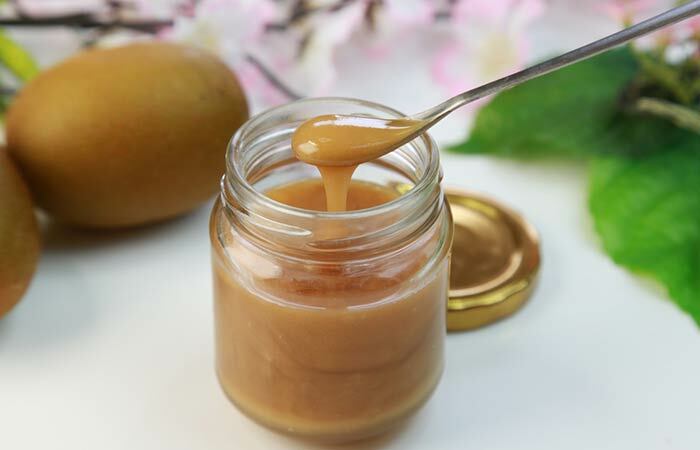 Manuka honey possesses powerful immunoregulatory and antimicrobial properties that not only accelerate the healing of rashes resulting from an allergy but also provide relief from itching and redness (14). Take a bunch of guava leaves and wash them. Crush the leaves and add them to a tub filled with water. Alternatively, you can grind the guava leaves and apply the paste directly to the affected skin. 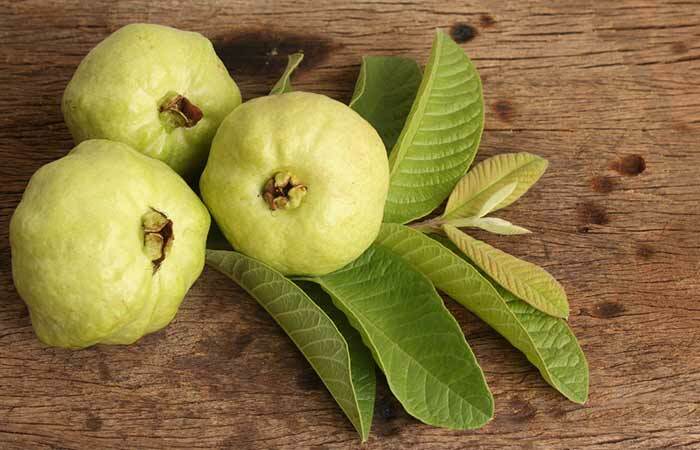 Guava leaves contain ethanolic extracts that exhibit strong anti-inflammatory and anti-itch properties (15). This can relieve the itchy and red rashes caused by skin allergies. 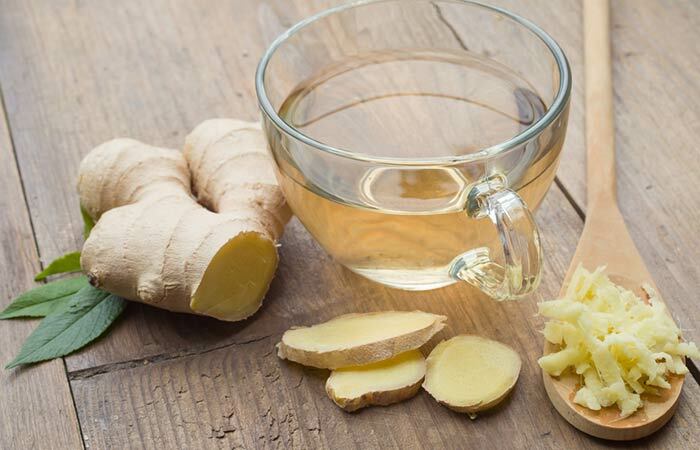 Take a slice of ginger and add it to a cup of water. Dip a cotton ball in this ginger solution and apply it to the affected areas. Ginger exhibits impressive anti-inflammatory and antimicrobial properties, which can work wonders in treating a skin allergy and soothing the inflammation and itchiness associated with it (16). Take some petroleum jelly and apply it directly to the affected areas. Leave it on and reapply as necessary. You must do this for a day or two until your symptoms begin to disappear. Petroleum jelly forms a protective layer on the affected area and can help prevent microbial infections. It also helps in keeping your skin moisturized, thereby speeding its recovery (17). 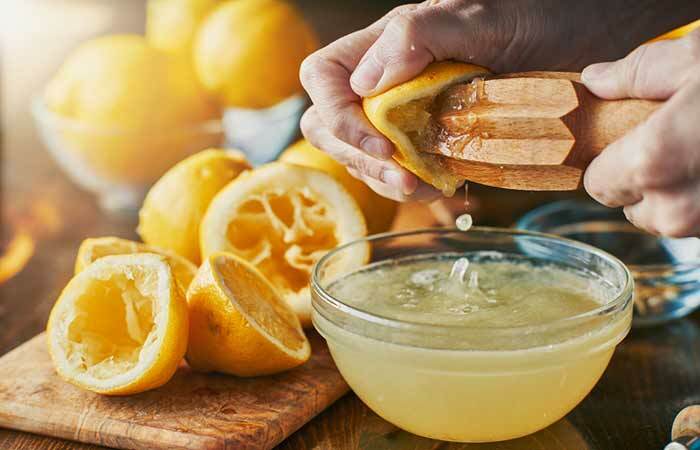 Squeeze out the juice from half a lemon into a cup of warm water. Apply it directly to the affected area and allow it to dry. You must do this multiple times daily for a few days. The anti-inflammatory nature of lemon juice helps relieve inflammation and redness while its bactericidal properties prevent further infection to the affected area (18), (19). Take some black seed oil in your palms and apply it directly to the affected area. 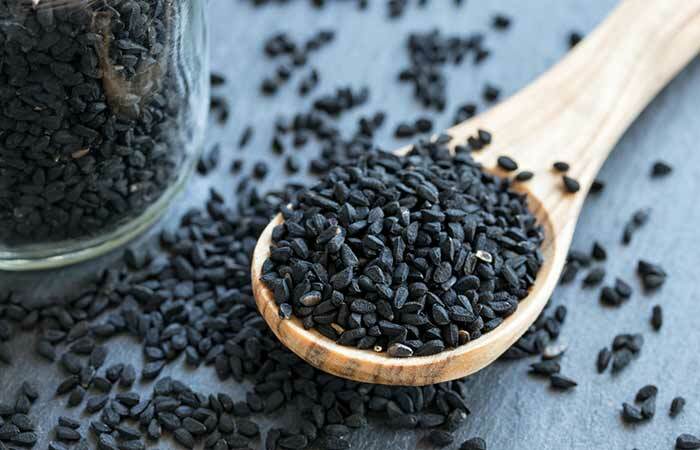 Kalonji or black seed oil possesses powerful anti-inflammatory, analgesic, as well as antipruritic properties that can be attributed to the presence of thymoquinone (20). These properties are extremely beneficial in the treatment of skin allergies. 1. 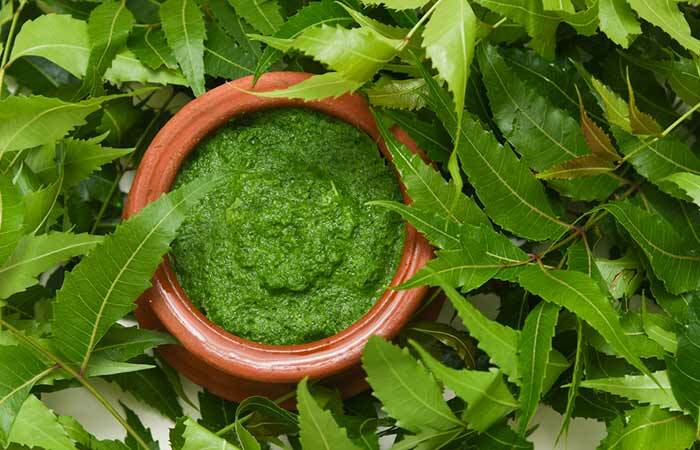 Take some neem leaves (fresh or dried) and grind them to make a fine paste. You can apply this remedy 3 to 4 times daily for a couple of days or until you notice an improvement in your skin. Neem can alleviate itching, redness, and swelling with its anti-inflammatory activities. It is also a natural antihistamine, which explains why it is so effective in treating skin as well as other allergies (21). Vitamins A, C, and E are essential for healthy skin. They are powerful antioxidants that help in repairing damaged skin and also protect your skin from toxic reactions. Additionally, vitamin C boosts your immunity to skin allergies, and vitamin E manages inflammation and swelling with its anti-inflammatory properties. 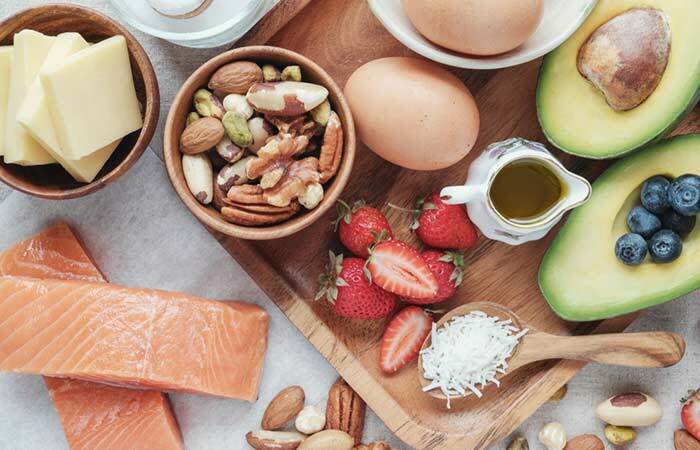 To get more of these vitamins through your diet, you must consume foods like carrot, broccoli, garlic, sweet potatoes, citrus fruits, spinach, kale, sprouts, nuts, and legumes. If you wish to take additional supplements for these nutrients, do so only after consulting a doctor. The mineral, magnesium is a natural antihistamine. Taking it in supplement form can assist in alleviating allergy symptoms. To help these remedies work even better, you can follow the tips mentioned below. Avoid contact with the allergen or irritant that triggers your allergy. Use a cold compress or take a cold shower. Avoid wearing tight clothes. Instead, wear loose or baggy clothing. Along with keeping the above tips in mind, you also need to pay attention to your diet. Listed below are some of the most common food allergens that are best avoided by those suffering from a skin allergy. Skin allergies can be quite repulsive, especially when they become infected. One of the first steps towards overcoming them is to steer clear of allergen(s). And for the rashes that have already surfaced, the above remedies will surely help. When you have a food allergy, your immune system reacts by producing antibodies called immunoglobulin E (IgE). They travel to your cells and initiates the release of a chemical, causing an allergic reaction. 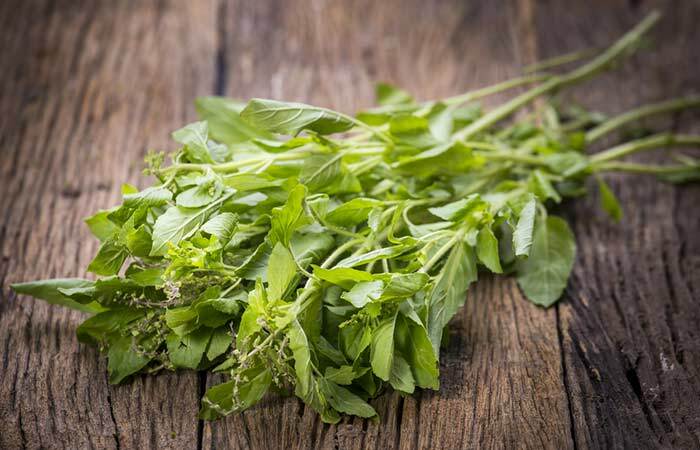 This release causes symptoms in the nose, lungs, sinuses, throat, ears as well as your skin. There are also IgG delayed food allergy symptoms. How long does it take for an allergic reaction to go away? For most allergic reactions, the symptoms begin to fade away within a few hours after the allergen has been removed. They usually clear completely in about two days. Which medicine works best for skin allergies? Your doctor might prescribe antihistamines or topical creams containing hydrocortisone to treat skin allergies. However, antihistamines can cause drowsiness, and long-term use of hydrocortisone causes thinning skin. Which is the best cream for a skin allergy? You can use anti-itch creams containing hydrocortisone or safer applications like calamine lotion. If you are looking for natural alternatives, any of the above remedies will do the trick. Which soap works best for a skin allergy? Soaps containing oatmeal like Aveeno or even olive oil are great for those with skin allergy. Cetaphil soap is another good option.